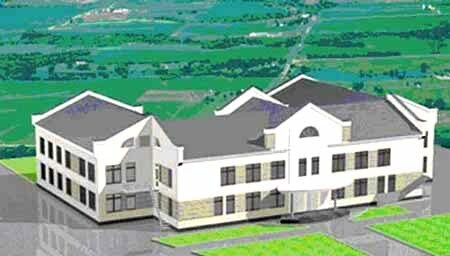 The Ungheni Business Incubator (UBI) is situated at 26 Barbu Lautaru str. in the centre of Ungheni city. The UBI provides the start-up businesses a range of different sized units under one roof, allowing for business growth and benefit from the support services offered by the UBSC. Our BI is characterised by flexible letting terms with practically immediate occupation. The BI tenants are also offered access to facilities like meeting rooms and administrative support services when needed. The BI atmosphere will help the budding entrepreneurs to reduce the feeling of isolation experienced by many start-ups. Property services: heating, lighting, maintenance, security, fire insurance, cleaning, waste disposal and parking. Administrative support: centralized reception, secretarial services, individual telephone line and telephone set; access to /fax/photocopying, IT support, translation /interpretation. Office space: from 12.5 to 17 sqm. furniture (table, chairs, filing cabinet). Communal space: meeting, training and conference room access, shared equipment (computer center), display areas, kitchen, etc. Partnership approaches: collaborations on shared marketing activities, joint purchase of equipment, shared subscriptions to publications, service agreements, and advocacy services in relations with banks, loan agencies. Other benefits of being gathered in a community: Inter-trading between tenants on the site and customers off the site, assistance with sub-contracting, delivery assistance, shared use of equipment, mutual support, on-spot banking and a sense of community feeling. The BI applicants will selected through interviewing by a mixed board of the Ungheni Enterprise House and UBSC staff. The applicants shall provide the Selection Board with the company registration documents (if registered) and a draft/sketch of the business plan.